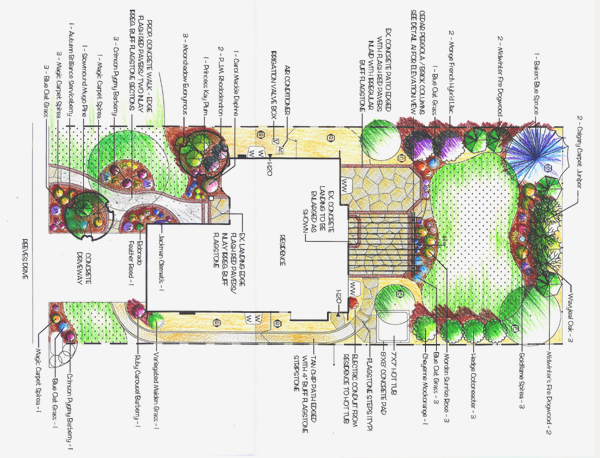 Daniel and Karen Johnese wanted to take a ho-hum yard to a new level and in the process created a standout landscape in the neighborhood. A plain concrete walk that originally only connected to the driveway was replaced with a brick edged and flagstone inlaid curvilinear front walk from the street and driveway. 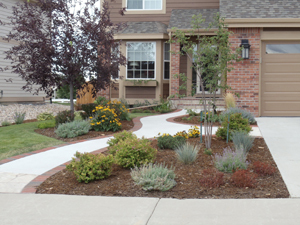 This new walk was flanked with attractive planting beds to provide curb appeal and reduce thirsty turf areas. The backyard patio was transformed into an elegant entertainment space with the addition of a brick edge and flagstone inlay surrounded by a hefty cedar pergola that defines the space. See before and after images in my portfolio.